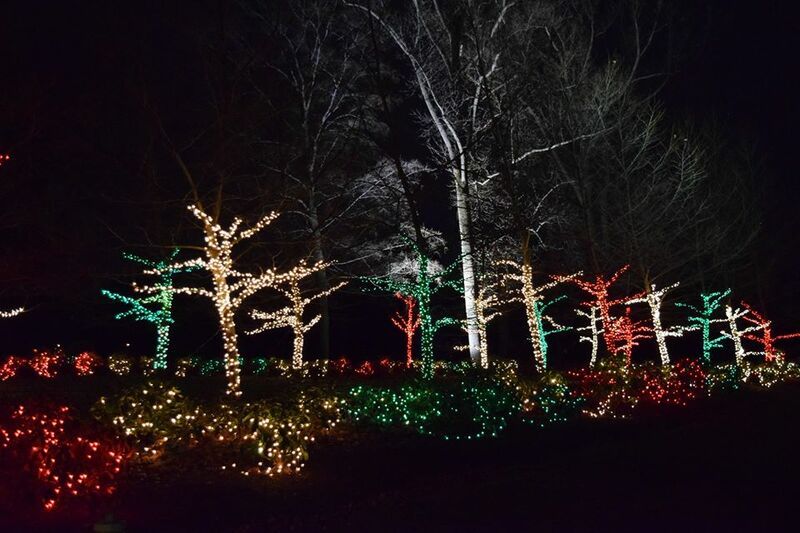 At 5:30 p.m. each night of Deck the Hall there is a tree lighting event. 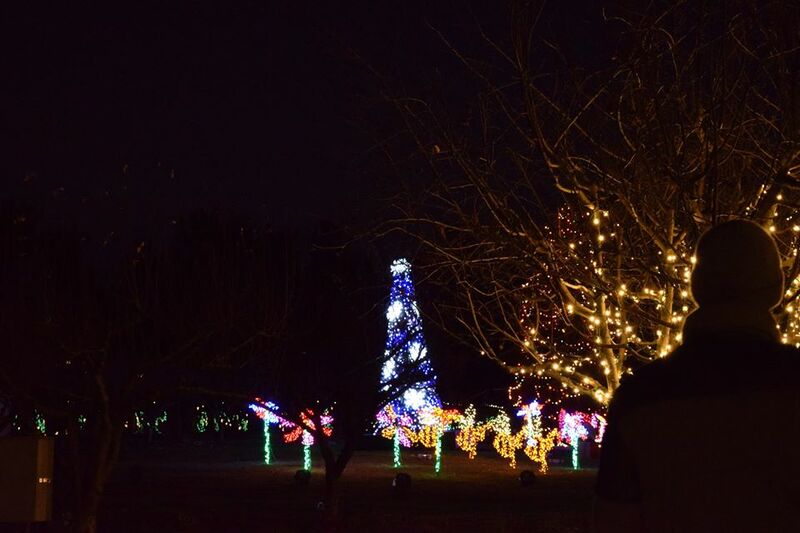 Before Christmas, Santa lights the tree; after Christmas the Gingerbread Man will give Santa a break and take over the tree lighting. Quite the crowd gathered to watch Santa light the tree. 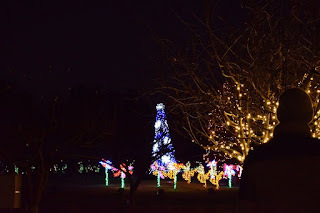 Sadly, I spent some amount of time fighting with my camera to get good photos of the lights, some of these photos are from my friend, she seemed to be more successful than I was. Self-guided manor tours were included in the ticket price and both the first and second floor were open. Due to the large number of people in attendance there was a line to enter the manor, so we decided to walk around outside a little longer before taking a tour. 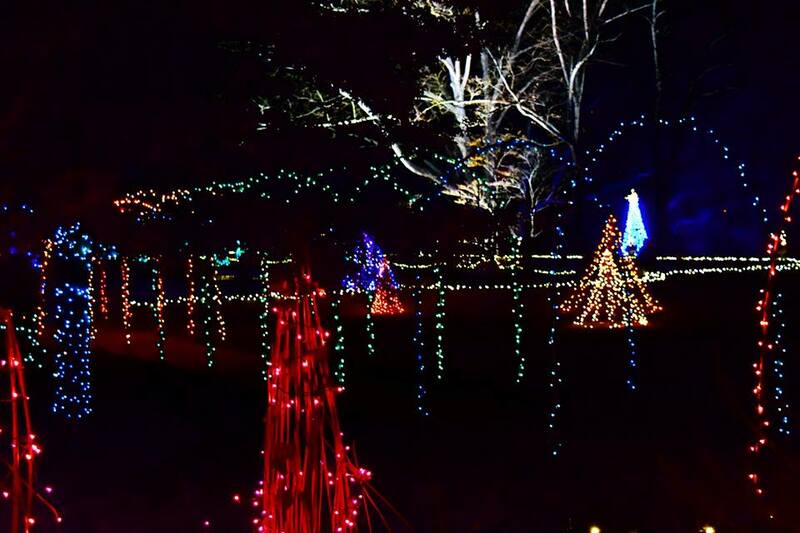 This area included lights that flashed along with music which played in a 20-minute-loop. 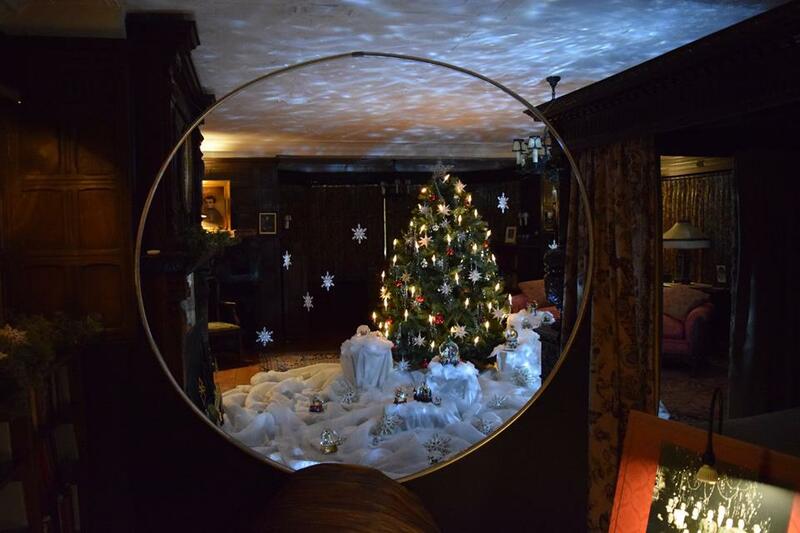 After walking around the grounds (all except the conservatory and gingerbread land), we decided to step into the manor so that we could warm up a little. A very elaborate gingerbread Stan Hywet. While our guys hunted down some hot chocolate, my friend and I took her daughter over to Gingerbread Land which is the Stan Hywet play area reimagined. The decorations in Gingerbread Land were all very whimsical with a gingerbread and candy theme. 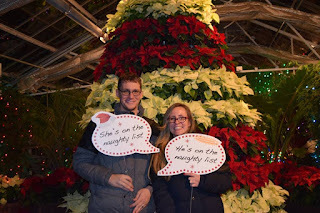 For our last stop of the evening, we went to the Corbin Conservatory which was also decorated for Christmas. We were a big fan of the signs Stan Hywet provided for photo opportunities in front of the poinsettia tree. 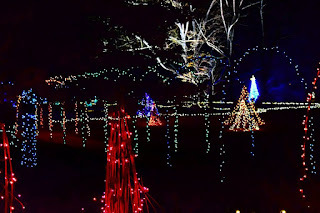 Overall, we were all very impressed with Stan Hywet's Deck the Hall event from 4 years old to 28 years old, we found the event to be magical. I think this is a wonderful holiday tradition to start with your family whether you attend before Christmas or before New Year's Eve. The grounds looked beautiful and my photos hardly do justice to the breathtaking beauty that Stan Hywet has managed to work into their light display.